Heavy music has been more or less absent from mainstream awards like The Brits or the Mercury Prize, despite polls and petitions from various different outlets. Last year, a group of people took it upon themselves to create their own annual awards show, to highlight the best the scene has to offer. Last year’s show took place at the House of Vans in Waterloo, whilst this year, to go with the growth of the brand name, the Koko in Camden is the venue of choice. Over a thousand people – band members, PR, media and lucky competition winners – are in attendance. And we’re here to watch all the best talent that the mainstream media have missed. Coldbones are the evening’s first live act and they bring with them a cinematic, expansive sound. A three-piece at the core with two touring members, they play a mix of prog, shoe gaze and metal with a huge sound. With no vocalist, the band each give themselves a time to shine, whether it be the powerful drumming or the technical and intricate riffing. A 25-minute set flies by with big songs like ‘Space’ and ‘Moment’. Coldbones have set themselves up for a big 2018 and there would be no surprise if the guys from Kent were back at the awards next year, nominated in their own right. Sophie K (presenter of numerous TV and radio shows) is our host for the night, taking us through the bands and the awards presenters, and she brings out Black Peaks with a big introduction. Black Peaks are without a doubt one of those bands who fly under the radar but deserve to be huge. Bounding out and launching straight into ‘Can’t Sleep’, they were clearly aiming to lay waste to the Koko, and they can consider it mission accomplished. Mixing math rock with big choruses, and a frontman in Will Gardner who can switch from blood curdling screams to the softest of crooning. Throughout their six-song set, they demand all eyes on them. From ‘Electric Fires’ through to ‘Glass Built Castles’ and ‘Saviour’ they look in fine form for the end of festival season and their UK tour in Autumn. Sophie K returns to introduce the presenters of the first category: ‘UK Breakthrough’. Presented by tonight’s headline act, The Fever 333’s Jason Alone Butler and Chris Bye, they announce Milk Teeth as the worthy winners. Having been through a lot in their short career, they can feel vindicated by this award. Featuring guest touring guitarist Em Foster (who hasn’t even played a show with the band yet), they are evidently surprised to win, but this award is very well deserved. ‘Hellfest’ wins the ‘Best Festival’ award and once again this is very well earned, with an eclectic mix of heavy acts, the French festival has become a staple of the circuit and always draws big interest in their lineup. Sophie K returns to the stage to give out the most poignant award of the evening. The Sophie Lancaster Foundation wins ‘The H’, which is awarded to the institution that has done the most for the alternative scene. All of their charity work is rightfully recognised, and long may that continue to be so. Milk Teeth then celebrate their award win with a set that highlights their many strengths. ‘Swear Jar’ still sounds massive after all these years, before ‘Prism’ and ‘Fight Skirt’ show off the latest fruits of their labour. Em from Nervus makes her debut as the touring guitarist but you wouldn’t be able to tell. Whilst there are a few nervous glances from her, the band rally around and she plays with such accomplishment. Becky and Billy’s joint vocal attack is a sight to behold, and Billy channelling Billie Joe Armstrong’s crazy facials is a highlight throughout. With a rousing finale of ‘Owning Your Okayness’, on this performance Milk Teeth have made a case to be up for UK band of the year in 2019. Olivier Garnier, a representative of Hellfest Open Air arrives to give an acceptance speech after a delay in transit and is warmly received, only heightening the respect for his work. The award for ‘Best Producer’ is one of the most fiercely contested awards of the night, with so many great producers up for nomination. In the end, Will Putney is the worthy winner, after working with bands like BodyCount, Thy Art Is Murder and Counterparts. The award is presented by Henrik Udd, known for his production work with bands like Architects, Bring Me The Horizon and Mark Andrews, a wrestler signed to WWE and the vocalist of the band Junior. The French winners continued with Gojira collecting the ‘Best Live Band’ award, with Vee-Man from Slipknot and Helen Varley from Jackson Guitars presenting, whilst Metallica’s Best International Band award was collected by Dan P Carter – whose acceptance speech was the most entertaining of the night, as he jokingly tries to keep the award for himself. A sharply dressed Jamie Lenman and Justine Jones present Ed Mason with the ‘Best Photographer’ award, before the two big prizes of the evening. The ‘Best UK Band’ was a category that could have seen any of the nominees be named the winner. Ultimately it is Brighton’s Architects who walk away with the award, and they should feel wholly encouraged for the future. After the death of Tom Searle, the band didn’t know whether they should carry on, but after a storming Reading / Leeds weekend, dropping one of the songs of the year in Doomsday, and then selling out Alexandra Palace, they sure deserve it. Sam Carter dedicates the award to both Searle brothers in one of the most poignant moments of the evening. The ‘Best Album’ award was classed as the biggest of the night and with so many 10/10 albums up for nomination it was easy to see why. Many thought Code Orange were certain to win it, but the independent While She Sleeps took the award for ‘You Are We’. They are another band who can feel vindicated for being brave and deciding to go independent for this release, instead of going for a big label partner. They make reference to the fact that the system doesn’t work for everyone and that the album title really is how they feel. The final live act of the night sees The Fever 333 take to the stage. What follows is another band who have the potential to be back at these awards next year, winning every nomination. Starting their demonstration like every other – with a white sheet over the stage, a projection of different propaganda and civil wrongs from the media – Jason Butler stands in the middle of the stage with a black hood over his face. They explode into ‘Burn It’ before segueing straight into ‘We’re Comin’ In’ which sees Butler perform the whole song in the crowd. ‘Animal’ is Butler at his explosive best, climbing to the second balcony of the venue to perform the song, before a Beatbox and Drum solo. The highlight proves to be in the yet to be released songs, like ‘One Of Us’ and ‘Pray For Me’ which sound bigger than the venue they’re in. Butler proves his ‘hood credentials’ by letting the crowd know that they weren’t allowed to bring merch inside, but they have a van outside they are selling from cause ‘your boy’s just trying to make that paper!’ They finish the set on ‘Walking In My Shoes’ straight into ‘Hunting Season’, proving why they’re one of the most exciting bands in the world right now. 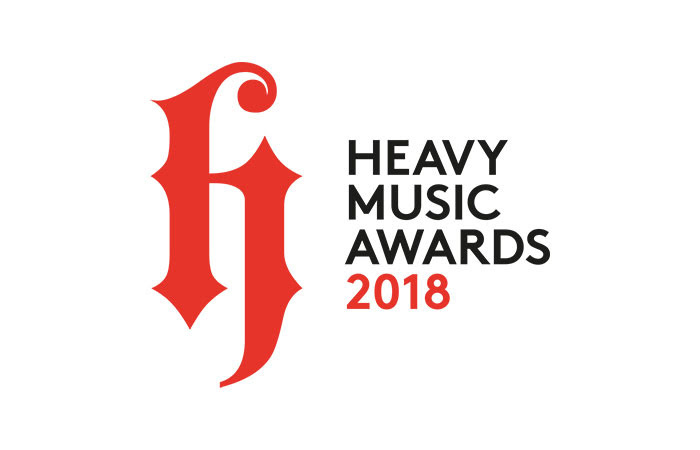 Overall, the Heavy Music Awards have had another strong year, with worthy winners, a stellar cast of presenters and a fantastic set of live acts throughout the night. It’s hard to believe this is an awards ceremony that is only in its second year, because the way that everything is conducted is so professional and they’ve been able to bring in some of the most loved people in the scene to give out their awards. Everyone under the roof of the Koko had the same thing in common: a love for Heavy Music, and long may it continue. I’m a 23 year old graduate of Psychology and Counselling. I enjoy listening to a wide variety of guitar music taking in Rock, Acoustic, Punk, Metal and Alternative. 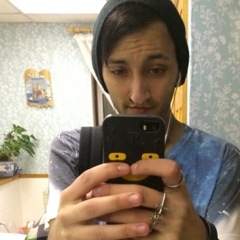 You’ll find me at gigs a lot, or working on the bar at Brixton Academy, come say hi!